The Hunger Games on EPIXYou may have noticed some awesome Hunger Games billboards pop up in your town. They are for the world television premiere of The Hunger Games on EPIX! Catch it at 12 PM PST on New Year's Day or on January 4th as part of their free preview weekend hosted by the man with the beard, Wes Bentley. Now we can announce that EPIX is giving fans a FREE (no credit card required!) 14 day trial with access to The Hunger Games as well as many other blockbuster movies. A cup of tea and a sweet giveaway!! If you've been following us on Twitter, you might have seen our tweets and retweets concerning the #12daysofHungerGames! Lionsgate has been spreading Christmas cheer all around the interwebs by teaming up with various Hunger Games fansites who are giving away a different holiday gift for use in The Hunger Games Adventures and even providing some sweet giveaways! Please enjoy this virtual cup of tea on us! CLICK HERE for your exclusive gift! You may have noticed some awesome Hunger Games billboards pop up in your town. They are for the world television premiere of The Hunger Games on EPIX! Catch it at 12 PM PST on New Year's Day or on January 4th as part of their free preview weekend hosted by the man with the beard, Wes Bentley. Thanks to Lionsgate, we are giving away FIVE Catching Fire books and FIVE Hunger Games DVDs. Thanks for entering! Winners to be announced soon! Happy Holidays! If you checked our post on December 12th, you'd know that Lionsgate kicked off their "12 days of Questmas" giveaway! 12 fansites are giving away free stuff as well as a new gift everyday in The Hunger Games Adventures facebook game. We'll be updating this list every day so you don't miss a thing! 11. Welcome To District 12 <------------ That's us!! Do you hear that? 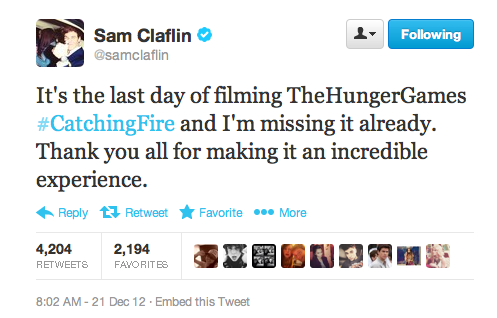 Those are the cheers and cries of joy from The Hunger Games fandom. Jennifer Lawrence is at long last going to host SNL on January 19th. HUZZAH! Hold on, we're not done yet. Looks like Jennifer Lawrence also is nominated for Best Actress in a comedy or musical. As if that's a surprise to anyone. Best of luck to her as she's up against Emily Blunt, Judi Dench, Maggie Smith, and Meryl Streep. Mockingjay.net Kicks Off Lionsgate's 12 Days of Christmas! They’re giving twelve fansites (each representing the 12 Districts of Panem) 5 copies of The Hunger Games DVDs and 5 copies of the Catching Fire book to give away to their readers. Mockingjay.net is very happy to be kicking off the sweepstakes with Day 1! Read on for more information on how you can win. We will update this post with the links to each fansite so that you can increase your chances of winning! 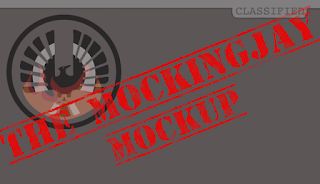 In addition to the sweepstakes, Funtactix, the creators of the Facebook game The Hunger Games Adventures, has created an in-game item exclusive to Mockingjay.net readers! Hope you all are having fun with the newly added holiday quests in game! Each fansite will be giving you a link to a different exclusive item, so you’ll definitely want to come back each day to find out who’s next! Some generous soul in the Capitol gives you $1,000 to spend on gifts for only one of the 12 Districts of Panem. What district would you choose to award and what gifts would you buy for them to give them a Merry Christmas? We’ve included four additional ways for you to enter yourself, including a daily tweet entry. If you tweet about this contest, be sure to use the hashtag #12DaysOfHungerGames. This contest will run from 12/12/12 to 12/23/12 at midnight Eastern time. The contest is open worldwide. And may the odds be ever in your favor! Head over to Mockingjay.net to enter!!! We will be tweeting every fansite day, so make sure you are following us on twitter! In connection with the release of The Hobbit this week, check out this hilarious parody video: The Hobbit Games!! Love love love The Hobbit? 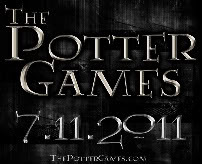 Listen to last night's HG Fireside Chat episode where we talk about THG and The Hobbit! Grammy nominations are out and songs off the Hunger Games soundtrack snagged a couple! Watch the Grammys on Feb 10 on CBS to find out who wins! Registering for Victory Tour 2013 is under way, and if you've been planning on attending, please do not hesitate to register! Victory Tour 2013 needs 100 more registrations by the end of December, or it can't happen. Take it from us, getting to hang with fellow Hunger Games fans will be a blast. Sign up today! As far as we've heard, fans are stoked at the prospect of Danny Strong writing Mockingjay. In case you've missed our past coverage on the matter, rumors first hit the web in October and a few weeks later Elizabeth Banks posted about him on her blog. Since then, we've not heard a peep from Lionsgate (we even tried to find confirmation for ourselves) that is until today! As for Mockingjay — I can say very little about it. I was approached to pitch on it, and I just literally holed myself up for a week and came up with a presentation for two movies. I pitched my little heart out, and got the job. I literally can’t say anything else — I will just get in trouble. It’s, like, Defcon 5 on security over there. It’s really crazy. Well at last we have confirmation, and we are so so stoked. We are confident in Danny Strong's ability to honor the Mockingjay story, and am very glad to hear Lionsgate is trying to keep a lid on it all. 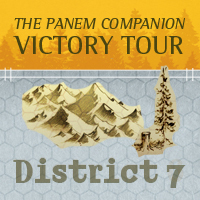 We are honored to announce that we are the District 7 stop on the Panem Companion Victory Tour! 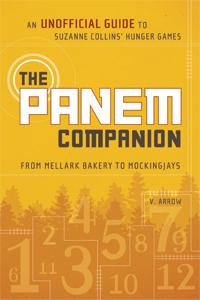 To read our review of The Panem Companion by V. Arrow, CLICK HERE. We are very excited about this district since we are big Johanna fans, but Courtney also first came into this world close to Yosemite National Park so she has a big affinity for trees. HUZZAH District 7! Thanks to Smart Pop Books, not only will we be showing you an exclusive excerpt from the book, but at the bottom you can enter to win your very own copy! This victory tour being held for The Panem Companion is touring all the districts (fan sites), so keep an eye out for future stops, exerpts, and book giveaways! “The question of Prim’s parentage is a significant point of analytical fandom debate. darkhaired Mr. Everdeen? Or should Prim really be Primrose Mellark? There are staunch supporters on both sides of the issue . . . Rebellion, it is more probable that her surname refers to the Freemasons, an international fraternal organization sometimes referred to as a secret society. “Freemasonry ‘uses the metaphors of operative stonemasons’ tools and implements . . .
transfer of equilibrium in a branch of engineering and mathematics called control theory. Giveaway contest now closed. Stay tuned for winner announcement! The Hunger Games may not be the only series that you are "obsessed" with. Many of us claim to be experts in things like Harry Potter, Star Wars, Lord of the Rings, and others. This list goes on, but perhaps many of you have experienced it yourself: You are wandering your neighborhood bookstore, and find oodles of "philosophy" books of [insert obsession here]. Many unofficial guides and companion books only scratch the surface of what’s going on in the novels and series that they concern. You buy it, you read it, and come to find that the book you just spent some money on tells you absolutely nothing that you don't already know. Where those types of companion books fail, The Panem Companion succeeds. The author V. Arrow is known with fans of The Hunger Games as the creator of one of the most widely known fan-made maps of Panem; she even discusses the inception and creation of that map in the very first chapter. Fans are assured that the author of this companion book is truly one of them, and in her book, she taps into and fleshes out what the fans really talk about. WARNING: This book is not for the casual fan! V. assumes that those who read The Panem Companion have read the trilogy (probably more than once) and hints at the Internet culture of the Hunger Games fandom (You might have seen V.'s posts around tumblr or even livejournal. yep, that's still there). The point is, she not only really understands the internet culture (are you familiar with headcanons? ), but understands the online Hunger Games fandom as a whole and what makes it tick. Where the media would assume that Hunger Games fans obsess over the supposed “love triangle”, V. knows that what concerns us most and what is frankly far more interesting are the ideals and ideas implied in the novel (which by the way, V. explains, isn't even technically a love triangle). She treats The Hunger Games the way an English Lit grad student would treat a classic literary work. She presents theories and topics that are discussed in fandom (Prim’s parentage, class, race and gender roles in Panem’s culture, the roles of family), and though not necessarily saying the reader should believe them, but supporting these theories with textual evidence, even looking to outside sources in the academic world, so that we may at least consider them and make our own judgments. If you are really interested in the culture of Panem and the thoughts and ideas The Hunger Games has to offer, you just might devour this book. The Panem Companion is a guide for the critical thinker type of fan. It is well researched, and her arguments are pretty sound. Keep in mind that the book deals with The Hunger Games book-verse for simplicity and continuity. There aren’t many YA companion books out there that treat the source material with as much reverence and the fans with as much intellectual regard. The material in this book is not dumbed down and is at times at the college or graduate level, though V. does a great job with explaining more advanced terms for those who are unfamiliar with them so even younger or less experienced readers can follow along. On the flipside to that, V. very much “comes from the Internet”, using terms like “fandom” and “shipping” just as easily. Knowing what we know about the fandom and how they communicate with each other, it's quite heartwarming knowing the author feels what you feel and understands what the books mean to us emotionally, not just some random dude with a philosophy major who think it's cool to write about what's "in". Because of the thoughts and ideas that came with The Hunger Games, it brought a big thirst for discussion, hence us looking to the internet to talk with others about this incredible series. I remember an episode of HG Fireside Chat sometime last year where we discussed an interesting blog posting by our friend Sylah from DWTC, and lo and behold we found it cited in the Panem Companion. V. really made us feel as if we have been seeing the fandom shape and grow side by side. For any fan willing to go deeper into what The Hunger Games and its fandom is really about, for fans that love theories and discussions and critical thinking, The Panem Companion is a MUST BUY. Get ready for knowledge, get ready for your mind to be blown (Truly, my name is Cinna), and get ready to feel really really smart.